Where Roots And Wings Entwine: Win a pair of Classic BassBuds Headphones.....plus a chance to win a pair of limited edition 24 Carat Gold Plated BassBuds Headphones. Win a pair of Classic BassBuds Headphones.....plus a chance to win a pair of limited edition 24 Carat Gold Plated BassBuds Headphones. I’ve raved about BassBuds a few times before on here after falling in love with their fabulous in-ear headphones when we reviewed a pair of White BassBuds headphones. Our love of BassBuds and their products was set in stone when we reviewed a BassBuds BassBoomz speaker which blew us away with its impressive technology and high quality sound. Both the BassBuds headphones and the BassBoomz speaker is used on a daily basis in our home and Lee is often voicing his desire to buy another speaker to be able to experience the BassBoomz dual connectivity. I am tempted to get him another speaker when we have some spare money and get it personalised with an engraving which is a feature BassBuds offer customers when buying BassBuds headphones and BassBoomz speakers. As I love BassBuds I am delighted to be able to offer my readers the chance to win a lovely pair of BassBuds headphones. The BassBuds in-ear headphones with anti-tangle cable come with a choice of ear buds so that a comfortable fit can be found for all. The headphones are available in a wide range of vibrant colours in the Classic Collection and an amazing array of colour combinations in the Fashion Collection. All of the BassBuds headphones come with Swarovski crystals embedded in them, which sparkle beautifully and make a stunning visual statement. Not only do the headphones have a crystal look but they also have Advanced Crystaltronics Sound Technology which provides impressive crystal clear sound and a crisp, balanced treble and deep bass sound with the added benefit of a noise cancelling feature so that you can immerse yourself in music without external noise interfering. This year BassBuds are adding another colour to their range of headphones with the addition of luxurious limited edition Gold Plated headphones. To celebrate the Gold addition to their range of headphones are offering the chance to win a pair of BassBuds headphones worth £39.95 from the Classic Collection (colour choice subject to stock). 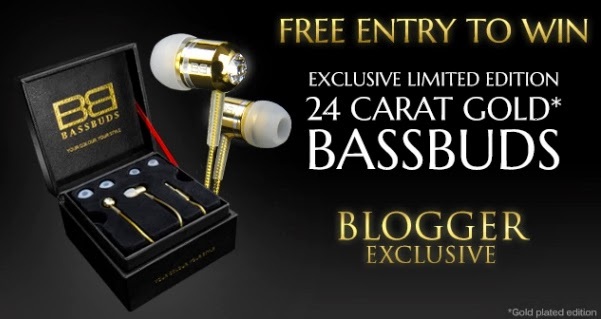 Also if you like the sound of the limited edition Gold Plated BassBuds headphones all who enter this giveaway will also be entered into a grand prize draw for the chance to win a pair of limited edition luxurious 24 Carat Gold Plated BassBuds headphones. A pair of Classic BassBuds headphones worth £39.95. You're welcome :) Good luck!! Im BassBud fans! The 24 Carat Gold version looks absolutely stunning! Btw. 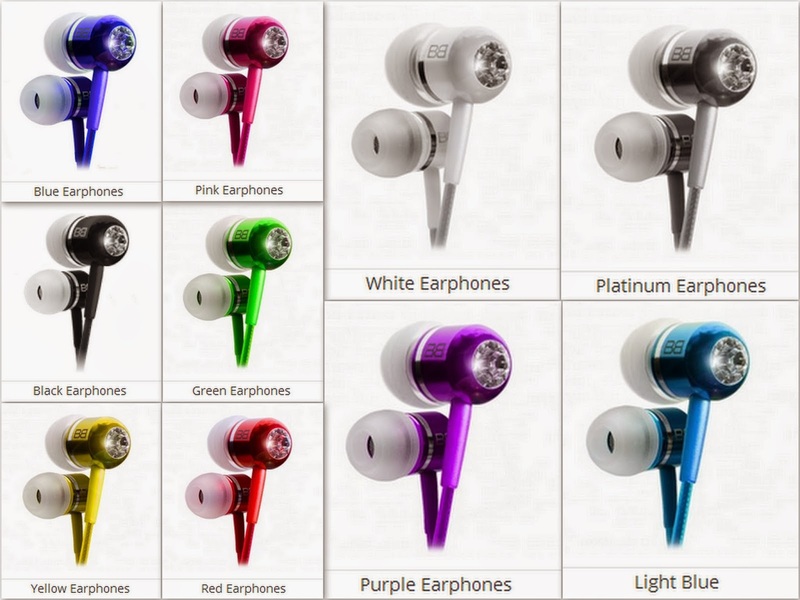 this contest is juz come to the right timing when i want to add another BassBud earphone to my collections. Thanks, thanks, thanks! They do look stunning. Good luck! These look fantastic! Thanks for hosting.